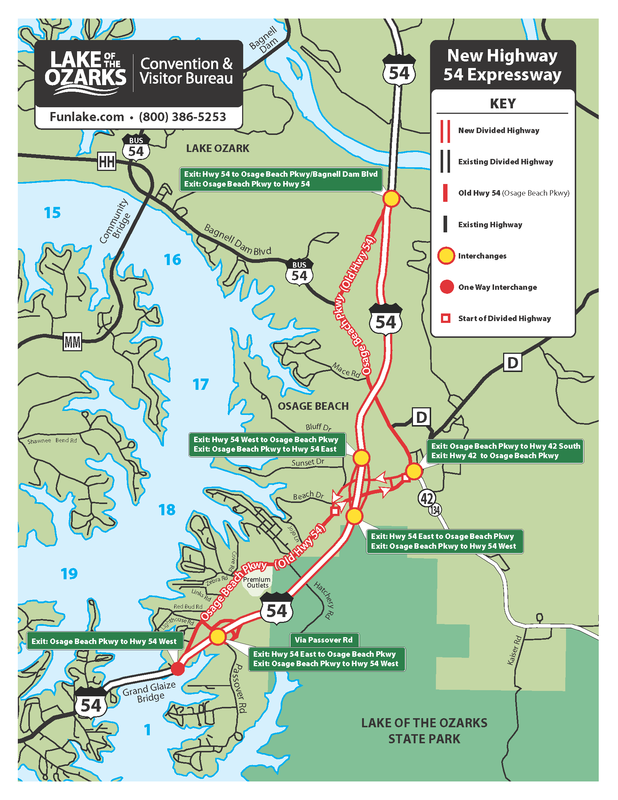 FYI: Navigating Highway 54 | Crystal Water Villas Blog - Lake of the Ozarks! Let’s be honest: road construction is all over Missouri — and across the nation. Unfortunately, the Lake of the Ozarks doesn’t go without its share of road fixes and improvements. In case you are unfamiliar with the area, we’ll help you navigate! The majority of Highway 54 is completed and new map is out for your information. Simply click here to download the new map or take a look at it below. If you ever have any questions as you’re driving here for the weekend, please give us a call at 866-273-2169. Thanks to the Lake of the Ozarks Convention and Vistor Bureau for this map!